Bowmore has a reputation (at least in my mind) for being the tag-along kid brother to the more serious Islay distilleries, which produce much more heavily-peated malts. This is silly, of course, because Bowmore is one of the oldest and most venerable distilleries on Islay (and, in fact, in Scotland). The fact is that people like to talk about Ardbeg and its crazy special releases and over-the-top peat, or Lagavulin and its rarity, or Laphroaig and its intensity. They just don’t talk about Bowmore. They should. 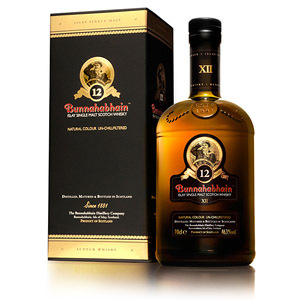 While my experience with the official 12-year was interesting but ultimately not energizing, the ‘Darkest’ is another story. 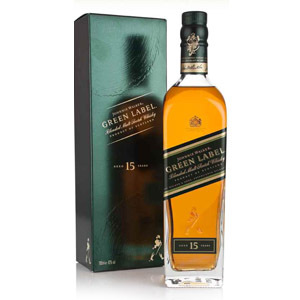 Named for the color instilled by a combination of bourbon and sherry aging followed by three years only in Oloroso sherry casks, the 15 year-old malt is (to me) indistinguishable from its 12 year-old sibling. The sherry is funky in the extreme, and the peat is murky and boggy in all of the ways that Ardbeg is not. 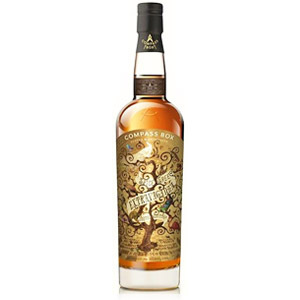 You’ll pay for this effect – it’s around $70 – but I haven’t found anything quite like this on the market, with the possible exception of craft distiller Lost Spirits and their oddball Ouroboros bottling. They both have a lot of the same funky, resiny, and composty flavors. If you like Darkest, you should try Ouroboros, and vice-versa. Also, they aren’t kidding about ‘darkest’ – this stuff is downright dark. Not quite bourbon-colored, but bourbon-esque. Unfortunately, Bowmore 15 is both chill-filtered and caramel colored. I have a hard time letting caramel coloring pass when a whisky is NAMED for its color. For shame, Bowmore! OK, now I can focus on the flavor. Nose: Wow. Plum sauce, prune juice, and resin. A thick fog of funky, swampy peat, and layers upon layers of fossilized aroma, starting with the tar pits. The fruit is full-bodied but oxidized and, with the peat, comes across as a bubbling ferment of wild, yeasty, compost-y complexity. The aroma is varied and – while not quite muddy – is definitely confused. An intriguing experience. Note that a lengthy rest in the glass – more than 15 minutes – reveals a very intense, meaty caramel note that is worth waiting for. Palate: On the thin side. Lots of red-wine tannins, and the initial flavors are of red grape skins, and balsamic. Then, the peat takes over and asserts itself over the sherry with flavor of seaweed, mushroom, and soil. Somewhat two-faced, rather than an integrated whole. Finish: Long. The fruit flavors freshen somewhat, becoming very cranberry-like, while the peat remains boggy and earthy. At no point does this make me think of ‘smoke’, although the unfortunate association (totally in my own head, I assure you) of composting (rotting) fruit keeps occurring to me. With Water: A few drops of water wake up a little fresh, tart fruit. Cranberries, again. The palate, also, is a little tart-er. The finish is more fully peated, and the peat has more of a vegetal quality. A few drops (only!) aren’t a bad idea. Overall: When you think about sherry and peat, you generally think about Highland Park, with its light tickle of citrusy Orkney peat and gently sweet, fruity sherry. This is the opposite of both of those aspects. The sherry is resinous and funky, the peat muddy and vegetative. The combination is alchemical, though, with an otherworldly fungalness… fungitude… fungality… funkiness that brings together the most edgy, concentrated, and dark flavors of both peat and sherry and becomes something greater than the parts. While not really an education in peat, or in sherry, it is an education in Darkest. Despite its location on the banks of Loch Indaal in central Islay, Bowmore’s water is derived from the river Laggan, the source of which rises from the hills on the east coast of the island, overlooking the Sound of Islay. The water is diverted from the river and forms The Bowmore Lade. This water is notable for its cross-island trip, picking up heather in the hills, minerals from the sandstone and limestone rocks from which it rises, and peat from the lowland bogs on its trip to the distillery. This yields a light and subtle spirit with a balance of mineral and vegetal. Bowmore still malts 40% of its own barley in its floor maltings. The malt is peated for less time than the more intense malts from the southern Islay distilleries, which contributes to its reputation as a ‘tamer’ cousin, and reputably more ‘smoky’ than peaty. Acquired: (Sample) Courtesy of Savona Communications. Thanks, Manuela! Bowmore makes me a bit sad. 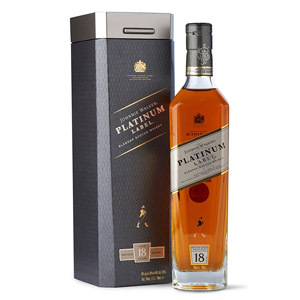 Their whisky has so much potential, but they either drown it (the core range that is watered down and chill filtered) or charge you an arm and a leg for it (Dorus Ur, 50 YO, etc.). A few tweaks could transform it into really top-notch stuff. Thanks for posting this one. I have tried almost every other scotch on the shelf, but always passed by this brand entirely since it wasn’t one of the big three of Islay peated malts. I will pick a bottle up one of these days. Im gunshy on bowmore after recently buying a bottle of the 12yr old. Wasnt the greatest, and could definitely use a 46% -natural color-nonchill filter makeover. Great review. This has to be one of the weirdest scotches I’ve ever bought. I found the nose pretty sweet and then almost all of that disappeared on the taste. Then it came rushing back on the finish. I’ve never had a scotch that takes such turns before. Really glad I bought a bottle because it took me a while to wrap my brain around everything that was going on in there. PS you say Bowmore 10 a couple times up there, I think you mean 12. Davers, you’re right. Thanks for the correction! Post updated. Great review. This scotch confuses me. I actually just bought the bottle and opened it last night. I agree that the nose is strong, the taste on the front is strong but then takes a turn mid-way and then comes back at the end. It’s a strange scotch. I say that from the point of view where my favorite scotches are laddie 10, glenlivet 18, and macallan 12. I can’t decide if I think it is complex or erratic. Worth an exploration, but I don’t know if I will buy again. I regularly drink the 12 as it one of the best bang-for-your-bucks in my neck of the woods. I am also familiar with the 18. I’ll definitely have to grab one. I’d be curious to see how it stands next to the Bowmore Laimrig 15, sherry-cask finished and bottled at cask strength. The batch 4 just hit the shelves here so this is my chance to try both side-by-side. I took a slug of this one at a Richmond, VA whiskey bar. Unlike Scotchnoob, I am generally quite fond of peat/sherry hybrids. I have observed, however, that the best hybrids need to consist of both big peat and equally big sherry to have the intended effect. Ardbeg Ugy is the bellwether here, although Laphroaig Triple Wood or PX cask, Talisker DE, and Lagavulin DE are right there with it. When the peat is weak, however, the contrast simply isn’t explosive enough to achieve the desired result. 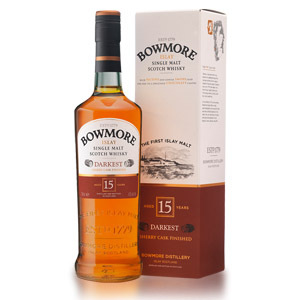 Alas, I have to categorize Bowmore 15 alongside Highland Park and maybe something like Compass Box Glasgow Blend. Nice, but this is minor league juice. Excellent review. Purchased a bottle an hour ago based on your comments. Was a toss up over this Bottle of Bowmore Darkest and Glenfiddich 15 year Solera. Well, after pouring a generous 3 fingers topped off with a small ice cube…..I’m happy with my choice. Sherry and wet hardwood are at the top of the profile. I find the peat and smoke a little subdued for a Islay, but the slightly higher ABV heat makes up for it. Considering I love Lagavulin 16, that is to be expected. Again, great review. I will be sampling many more of your picks!